OSAGE CITY—The Osage County Sheriff’s Office is asking for the public’s assistance in locating the person(s) responsible for a string of burglaries located west of Osage City in rural Osage County. 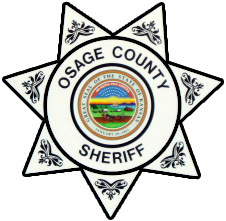 “The burglaries happened within a seven mile radius of Osage City,” said Laurie Dunn, Osage County sheriff. Dunn said the burglaries occurred between Auburn and Carlson roads, between 197th and 277th streets. Anyone with information is asked to call Crime Stoppers at (877) OS CRIME or (877) 672-7463. Callers can remain completely anonymous and could possibly receive a cash reward for information leading to the arrest and conviction of the individuals involved. The Police Department is also asking for the public assistance in solving a burglary case. A pop up camper was stolen from a Burlingame resident sometime betweenJan. 11 and Jan. 12. "It is unknown if this is related to the series of burglaries the Osage County Sheriff's Office is investigating but it is certainly possible," a notice on the Burlingame facebook page said. Anyone has information should contact the Burlingame Police Department at (785) 654-3329.